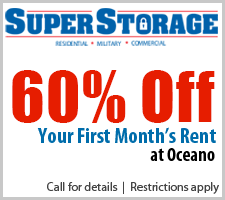 We offer a large variety of self storage unit sizes to fit any need. Small furniture; a chest of drawers, several boxes and small items etc. A couch, chair, chest of drawers, mattress set, boxes and small items etc. Standard furnishing from a one bedroom apartment with refrigerator or washer and dryer, plus boxes and small items etc. Furnishings from a two bedroom apartment or small house, plus cartons and small items etc. This will hold the contents of a multi-bedroom house. Items such as couches, mattresses, refrigerator, dining room set, and boxes. Perfect for larger multi-bedroom homes. Items such as couches, mattresses, refrigerator, dining room set, home office furniture, and boxes. Suitable for RVs or small boats. We have many more sizes to fit every need!